We have a relaxed treatment environment but still offer modern technology and the latest evidence-based care. We take the time to get to know and understand our patients so they feel comfortable. In fact, we become friends with many of our patients because we really do care and are passionate about the services we provide. We understand that many people have fear of the dentist and/or financial concerns about dental treatment. We pride ourselves on being comprehensive, compassionate, honest, and delivering quality care that suits each individual’s needs. We are proud to provide our patients with comprehensive dental care. Your overall wellbeing is our top priority and we believe that healthcare providers should be a team working together on your behalf. When needed, we will communicate with medical professionals to better understand your unique needs and tailor treatment accordingly. We have established relationships with local dental specialists for your advanced care needs. If your care involves multiple-providers, we oversee that treatment is well-planned, coordinated, predictable, and the long-term objectives are achieved. We are proud to work with local dental labs to help facilitate your care. Partnering with local dental labs benefits our patients through increased customization and expedited treatment! 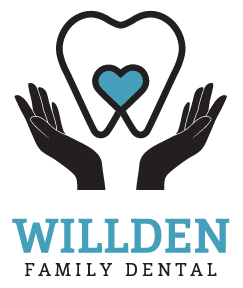 Please call to learn more information about the services we provide or to schedule an appointment with Dr. Willden.